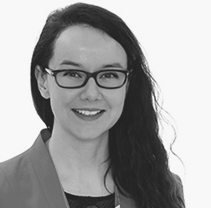 Prior to joining EIF, Laura worked for a number of years at the Tavistock Institute of Human Relations, where she managed a range of mixed-methods research and evaluation projects on vulnerable children and families. In particular, Laura led a series of studies on interparental relationships, including an evidence review on Personal Relationships and Poverty for the Joseph Rowntree Foundation. Her work has covered a range of policy areas including child poverty, domestic violence, children’s mental health, looked after and adopted children, teenage pregnancy, educational disadvantage, trafficking and young people’s radicalisation. Prior to this Laura worked for voluntary organisations in the migration field.